Now, more than ever, young people are motivated to make a difference in a world they're bound to inherit. They're ready to stand up and be heard - but with much to shout about, where they do they begin? What can I do? How can I help? How I Resist is the response, and a way to start the conversation. To show listeners that they are not helpless, and that anyone can be the change. 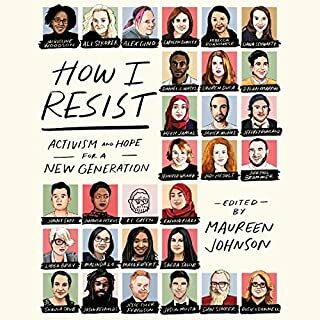 A collection of essays, songs, and interviews about activism and hope, How I Resist features an all-star group of contributors. Recently graduated from Harvard University, Michelle Kuo arrived in the rural town of Helena, Arkansas, as a Teach for America volunteer, bursting with optimism and drive. But she soon encountered the jarring realities of life in one of the poorest counties in America, still disabled by the legacy of slavery and Jim Crow. 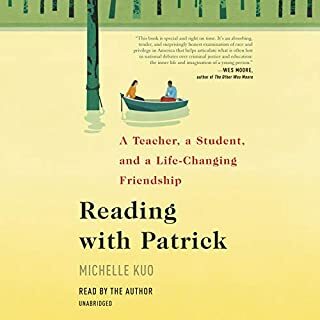 In this stirring memoir, Kuo, the child of Taiwanese immigrants, shares the story of her complicated but rewarding mentorship of one student, Patrick Browning. 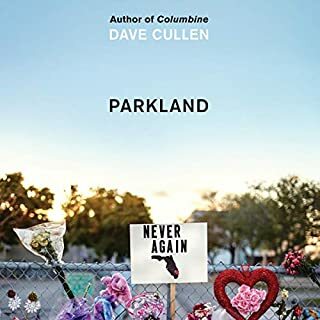 On the first anniversary of the events at Parkland, the acclaimed, New York Times best-selling author of Columbine offers an intimate, deeply moving account of the extraordinary teenage survivors who became activists and pushed back against the NRA and feckless Congressional leaders - inspiring millions of Americans to join their grassroots #neveragain movement. On February 14, 2018, 17-year-old David Hogg and his 14-year-old sister, Lauren, went to school at Marjory Stoneman Douglas High School, like any normal Wednesday. That day, of course, the world changed. 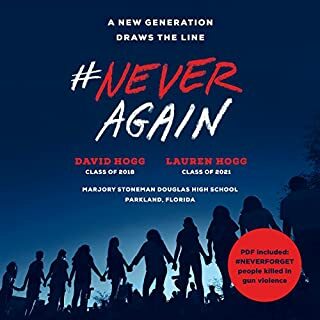 By the next morning, with 17 classmates and faculty dead, they had joined the leadership of a movement to save their own lives and the lives of all other young people in America. It's a leadership position they did not seek and did not want - but events gave them no choice. 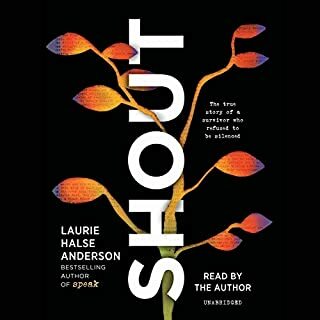 Best-selling author Laurie Halse Anderson is known for the unflinching way she writes about and advocates for survivors of sexual assault. Now, inspired by her fans and enraged by how little in our culture has changed since her groundbreaking novel Speak was first published 20 years ago, she has written a poetry memoir that is as vulnerable as it is rallying, as timely as it is timeless. "Aren't you a terrorist?" "There are no roles for people who look like you." "That's a sin." "No girls allowed." They've heard it all. Actress Alia Shawkat reflects on all the parts she was told she was too "ethnic" to play. Former NFL player Wade Davis recalls his bullying of gay classmates in an attempt to hide his own sexuality. Holocaust survivor Fanny Starr tells of her harrowing time in Aushwitz, where she watched her family disappear, one by one. What made them rise up through the hate? What made them overcome the obstacles of their childhood to achieve extraordinary success? Glimmer of Hope tells the story of how a group of teenagers raced to channel their rage and sorrow into action and went on to create one of the largest youth-led movements in global history. These Kids will makes us better someday. Xiomara Batista feels unheard and unable to hide in her Harlem neighborhood. Ever since her body grew into curves, she has learned to let her fists and her fierceness do the talking. But Xiomara has plenty she wants to say, and she pours all her frustration and passion onto the pages of a leather notebook, reciting the words to herself like prayers - especially after she catches feelings for a boy in her bio class named Aman, whom her family can never know about. 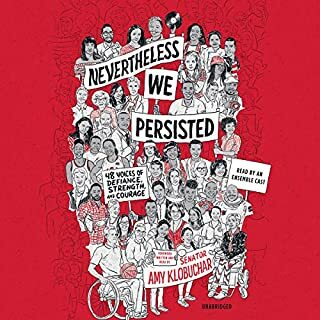 Set in a horrifying near-future United States, 17-year-old Layla Amin and her parents are forced into an internment camp for Muslim American citizens. With the help of newly made friends also trapped within the internment camp, her boyfriend on the outside, and an unexpected alliance, Layla begins a journey to fight for freedom, leading a revolution against the internment camp's director and his guards. Heart-racing and emotional, Internment challenges listeners to fight complicit silence that exists in our society today. Camellia Beauregard is a Belle. In the opulent world of Orleans, Belles are revered, for they control beauty, and beauty is a commodity coveted above all else. In Orleans, the people are born gray, they are born damned, and only with the help of a Belle and her talents can they transform and be made beautiful. But it's not enough for Camellia to be just a Belle. She wants to be the favorite - the Belle chosen by the queen of Orleans to live in the royal palace, to tend to the royal family and their court, to be recognized as the most talented Belle in the land. Sixteen-year-old Bri wants to be one of the greatest rappers of all time. Or at least get some streams on her mixtape. As the daughter of an underground rap legend who died right before he hit big, Bri's got massive shoes to fill. But when her mom unexpectedly loses her job, food banks and shut-off notices become as much a part of Bri's life as beats and rhymes. With bills piling up and homelessness staring her family down, Bri no longer just wants to make it - she has to make it. "You can't stop me on the come up!!" When a letter that was never meant to be seen by anyone draws high school senior Evan Hansen into a family's grief over the loss of their son, he is given the chance of a lifetime: to belong. He just has to stick to a lie he never meant to tell: that the notoriously troubled Connor Murphy was his secret best friend. Suddenly, Evan isn't invisible anymore - even to the girl of his dreams. And Connor Murphy's parents, with their beautiful home on the other side of town, have taken him in like he was their own, desperate to know more about their enigmatic son from his closest friend. One of the most emotional books I have ever read. In the United States today, one in every 31 adults is under some form of penal control, including one in 11 African American men. How did the "land of the free" become the home of the world's largest prison system? Challenging the belief that America's prison problem originated with the Reagan administration's War on Drugs, Elizabeth Hinton traces the rise of mass incarceration to an ironic source: the social welfare programs of Lyndon Johnson's Great Society at the height of the civil rights era. Meet nine courageous young adults who have lived in the United States with a secret for much of their lives: they are not U.S. citizens. They came from Colombia, Mexico, Ghana, Independent Samoa, and Korea. They came seeking education, fleeing violence, and escaping poverty. All have heartbreaking and hopeful stories about leaving their homelands and starting a new life in America. And all are weary of living in the shadows. Every Falling Star, the first book to portray contemporary North Korea to a young audience, is the intense memoir of a North Korean boy named Sungju who is forced at age 12 to live on the streets and fend for himself. To survive, Sungju creates a gang and lives by thieving, fighting, begging, and stealing rides on cargo trains. Sungju richly recreates his scabrous story, depicting what it was like for a boy alone to create a new family with his gang, his "brothers". When America is not so beautiful, or right, or just, it can be hard to know what to do. Best friends Walt and Noah decide to use their voices to grow more good in the world, but first they've got to find cool. Walt is convinced junior year is their year, and he has a plan to help them woo the girls of their dreams and become amazing athletes. Never mind that he and Noah failed to make the high school baseball team yet again, and Noah's love interest since third grade, Sam, has him firmly in the friend zone. A journalistic look at the shooting at Marjory Stoneman Douglas High School in Parkland and the fight for gun control - as told by the student reporters for the school's newspaper and TV station. It showcases how the teens have become media savvy and the skills they have learned and honed - harnessing social media, speaking to the press, and writing effective op-eds. Students will also share specific insight into what it has been like being approached by the press and how that has informed the way they interview their own subjects. 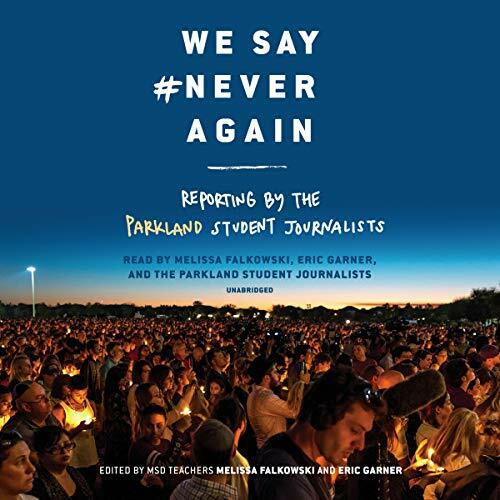 Read by Melissa Falkowski, Eric Garner, and the Parkland Student Journalists: Suzanna Barna, Chris Cahill, Nyan Clarke, Einav Cohen, Daniel Cuervo, Ryan Deitsch, Richard Doan, Abby Dowd, Brianna Fisher, Zoe Gordon, Augustus Griffith, Jr., Sam Grizelj, David Hogg, Daniella Infantino, Zakari Kostzer, Jordyn Laudanno, Christy Ma, Lewis Mizen, Lauren Newman, Nikhita Nookala, Carly Novell, Andy Pedroza, Josh Riemer, Carlitos Rodriguez, Dara Rosen, Rebecca Schneid, Leni Steinhardt, Delaney Tarr, Kevin Trejos, and Daniel Williams.